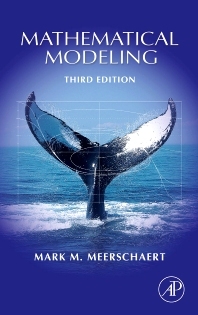 Mathematical Modeling, Third Edition is a general introduction to an increasingly crucial topic for today's mathematicians. Unlike textbooks focused on one kind of mathematical model, this book covers the broad spectrum of modeling problems, from optimization to dynamical systems to stochastic processes. Mathematical modeling is the link between mathematics and the rest of the world. Meerschaert shows how to refine a question, phrasing it in precise mathematical terms. Then he encourages students to reverse the process, translating the mathematical solution back into a comprehensible, useful answer to the original question. This textbook mirrors the process professionals must follow in solving complex problems. Each chapter in this book is followed by a set of challenging exercises. These exercises require significant effort on the part of the student, as well as a certain amount of creativity. Meerschaert did not invent the problems in this book--they are real problems, not designed to illustrate the use of any particular mathematical technique. Meerschaert's emphasis on principles and general techniques offers students the mathematical background they need to model problems in a wide range of disciplines.